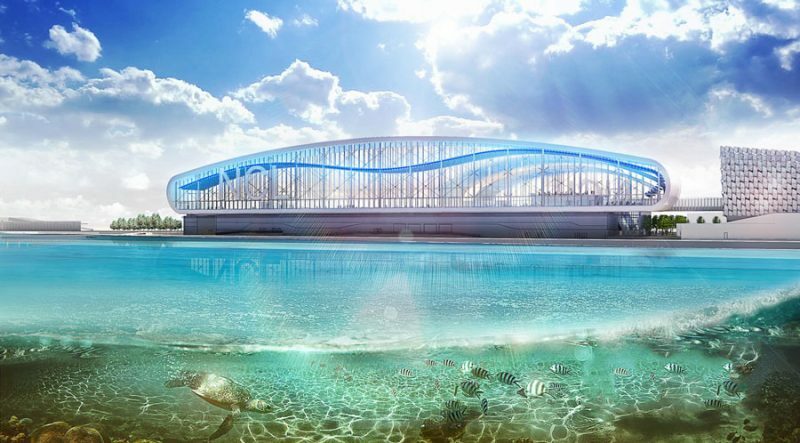 Norwegian Cruise Line is currently building a futuristic new cruise terminal at PortMiami and we’ve got some of the latest photos to show you how it’s coming along. For those cruise passengers who have recently cruised out of Miami, Florida then it’s likely you’ve got a great view of the new NCL cruise terminal currently under construction. If you love cruising and plan to choose Norwegian Cruise Line for a vacation out of PortMiami then these latest construction photos may be of interest to you. 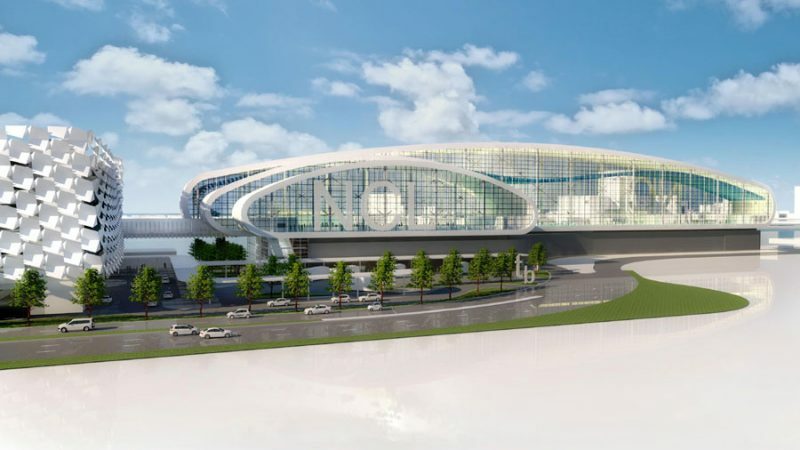 The terminal development started in May 2018 and is scheduled to be completed by fall 2019. The modern new facility is set to be open in time for Norwegian Encore’s debut at Miami to offer Caribbean cruises. The ship will be the fourth Breakaway-plus class vessel and is currently under construction at the Meyer Werft shipyard in Papenburg, Germany. The new terminal will be almost 166,500 square feet and offer grand ocean views with its modern design and openness to the water. It will be able to cater to the much larger 5,000 passenger capacity ships with new technologies to provide a faster and smoother embarkation and disembarkation process. Luggage check-in will be enhanced along with security screening. There will also be a dedicated lounge for large groups and charters. Rendering By: BERMELLO AJAMIL & PARTNERS. Next to the new terminal will be a large packing facility including a valet service area with direct access to the cruise terminal. Norwegian Cruise Line’s new terminal shows a commitment to the cruise capital of the world and builds upon its long history at the port since 1966. In 2018 Royal Caribbean opened their shiny new cruise terminal to be able to cater for the larger Oasis-class vessels and Virgin Voyages is also developing a new terminal facility for new cruise ships currently under construction. We’ve got a full guide on why you should cruise from Miami right here. Exciting times for Port of Miami and the landscape will be a lot different from what it is right now. Norwegian Escape was struck by a sudden strong gust of wind at the beginning of its seven-night cruise from New York.